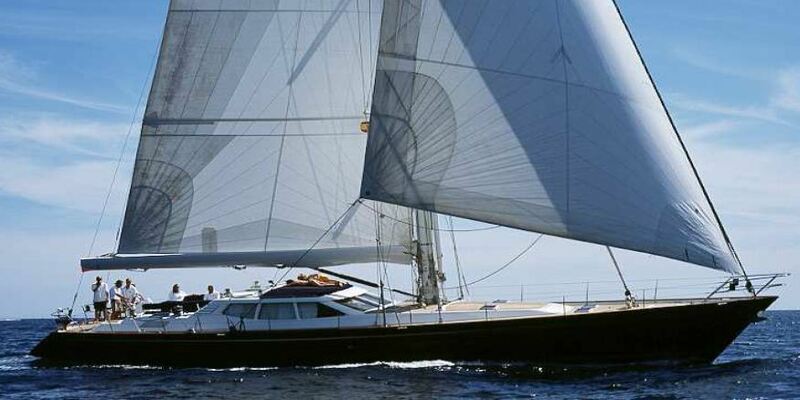 Charter yacht LIBERTAS is a 23,47m (77’) performance sailing boat. 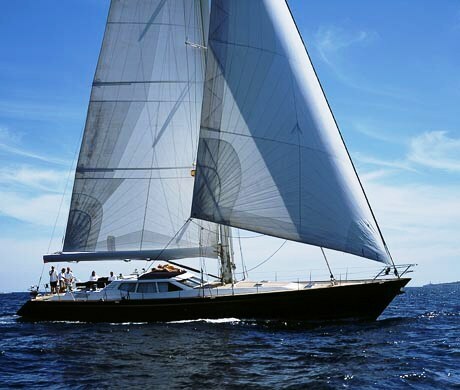 S/Y LIBERTAS was built by Holland’s renowned Vitters Shipyard in 1996 and was refitted in 2000. 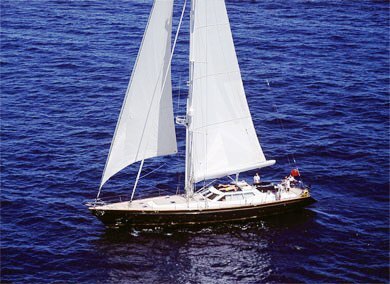 The LIBERTAS sailing yacht was designed for luxury cruising and boasts a combination of powerful performance under sail and power, with space comfort and engineering of the highest standard. 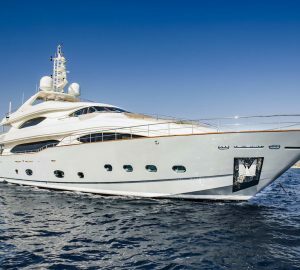 Charter yacht LIBERTAS is based in Kotor, Montenegro, available for luxury yacht charters throughout Croatia and the Adriatic Sea. 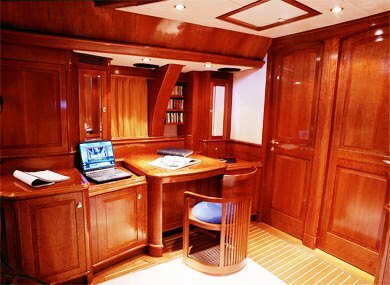 Sailing yacht LIBERTAS features 2 interior salons. 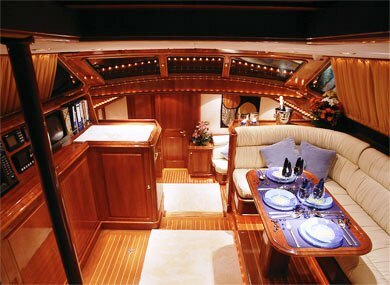 Her deck salon or ‘pilot house’ offers panoramic views through the large windows and a u shaped dining table to starboard. 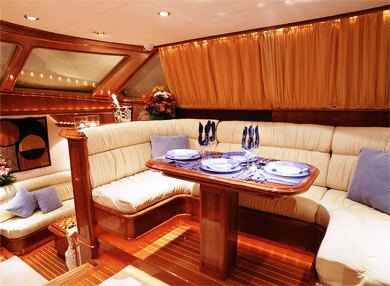 The larger second salon is accessed via steps from the pilot house and also has a u shaped table for dining, a mobile office area and entertainment center including a 32” Plasma TV, DVD and Kenwood sound system. 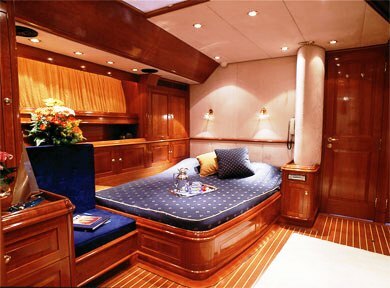 The LIBERTAS sailing yacht accommodates 6 charter guests in 3 cabins. 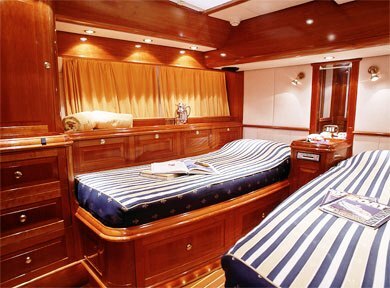 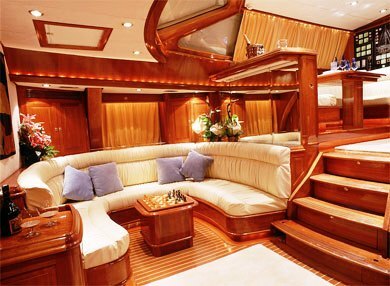 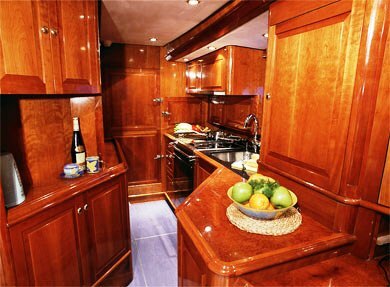 Her large master cabin is unique in a yacht of this size being able to partition off one side to make an additional smaller cabin. 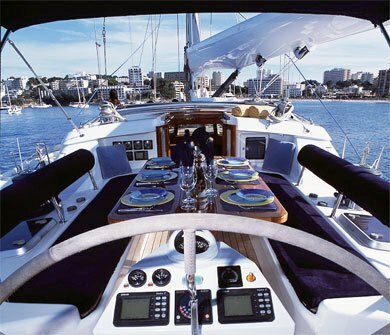 Outside, LIBERTAS has a central cockpit with al fresco dining table. 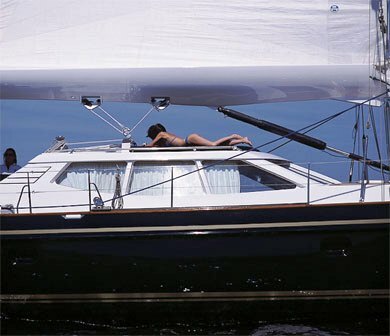 There is space to relax and sunbathe on the pilothouse roof, or further forward on the foredeck. 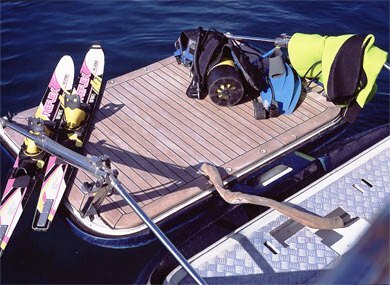 Her extendible swim platform offers another area to relax while dangling your feet in the water or to start you water sport activities. 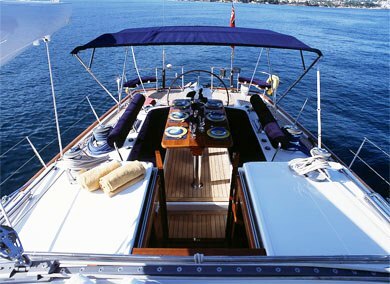 The LIBERTAS sailing yacht accommodates 6 charter guests in 3 cabins. 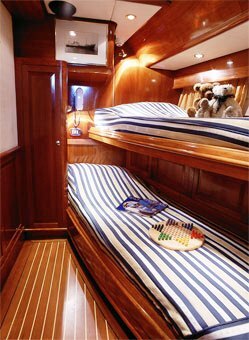 Her large master cabin is unique in a yacht of this size being able to partition off one side to make an additional smaller cabin. 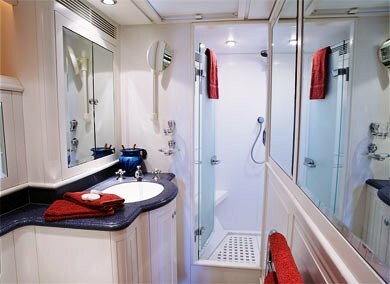 She has 2 twin cabins. 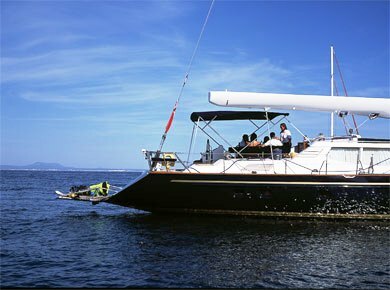 Vitters sailing yacht LIBERTAS has a Rigid bottom tender, an 88 HP jet engine for water skiing, a jet ski, a windsurfer, snorkelling and fishing gear, scuba diving equipment and a bauer compressor.